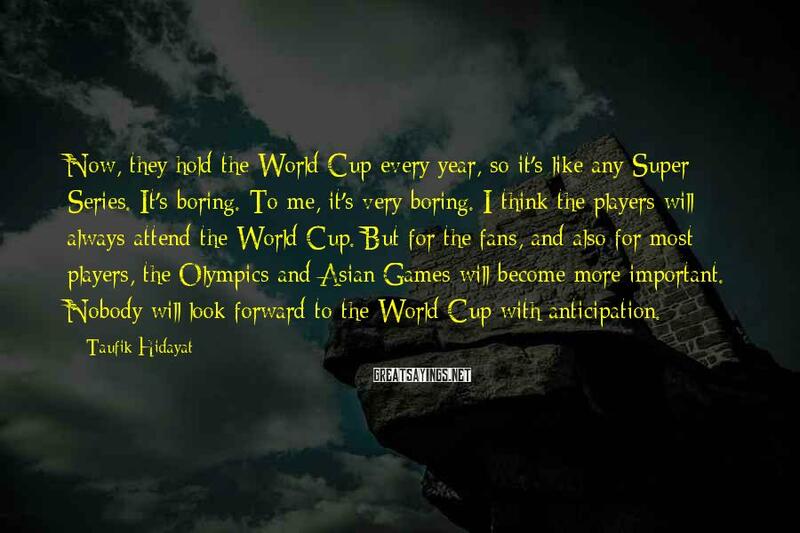 9 Taufik Hidayat Famous Sayings, Quotes and Quotation. 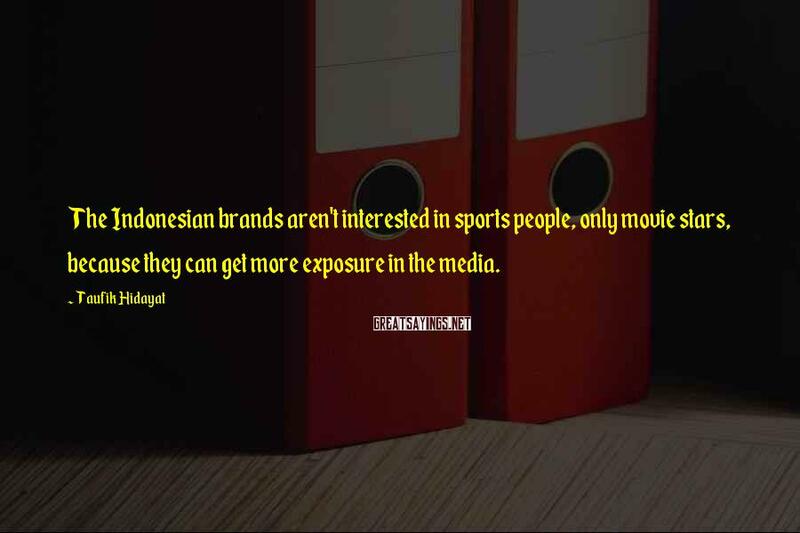 The Indonesian brands aren't interested in sports people, only movie stars, because they can get more exposure in the media. 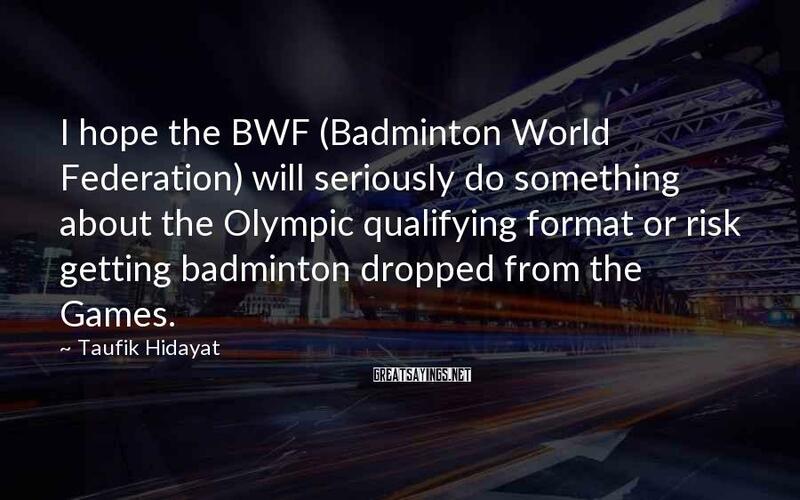 I hope the BWF (Badminton World Federation) will seriously do something about the Olympic qualifying format or risk getting badminton dropped from the Games. 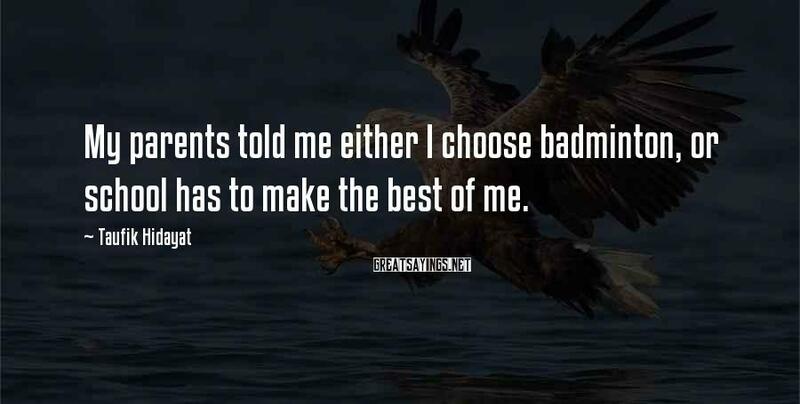 My parents told me either I choose badminton, or school has to make the best of me. 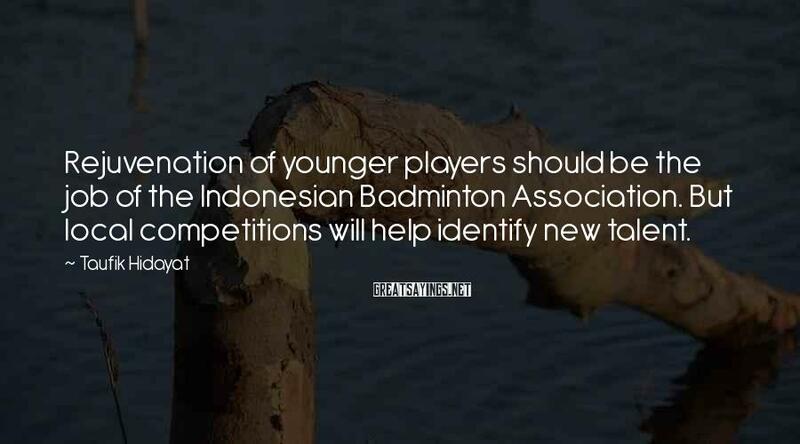 There is talk that badminton may not make it as a sport in the 2020 Olympics. 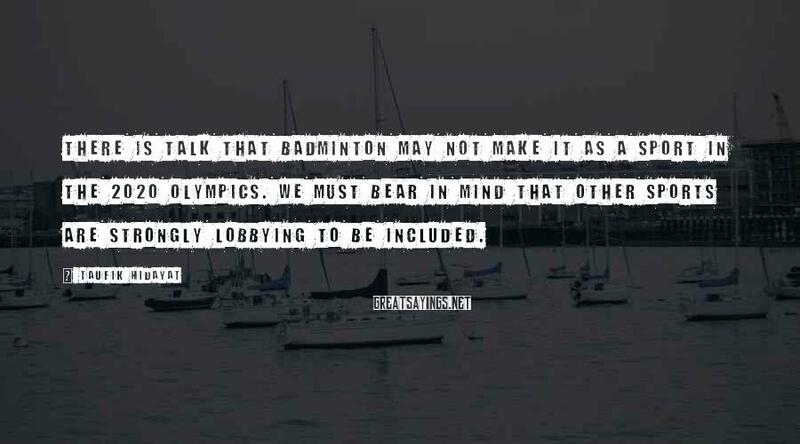 We must bear in mind that other sports are strongly lobbying to be included. 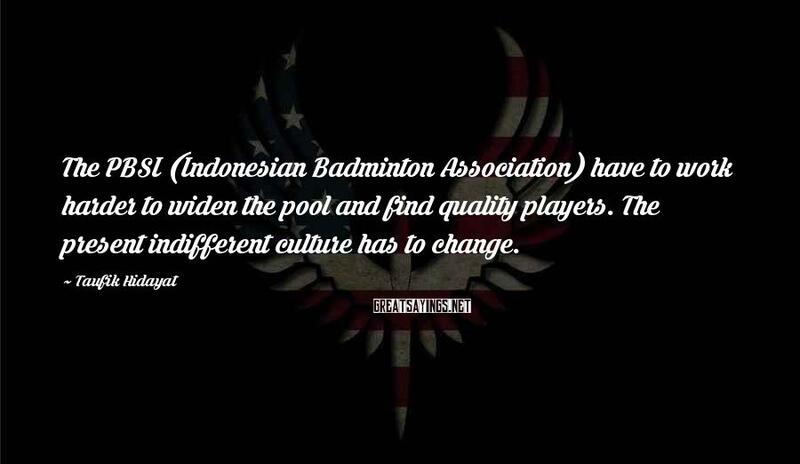 The PBSI (Indonesian Badminton Association) have to work harder to widen the pool and find quality players. 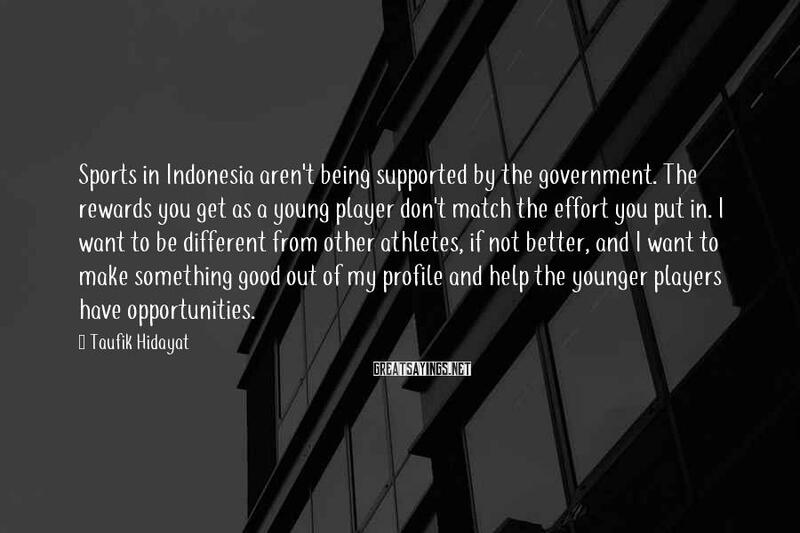 The present indifferent culture has to change. 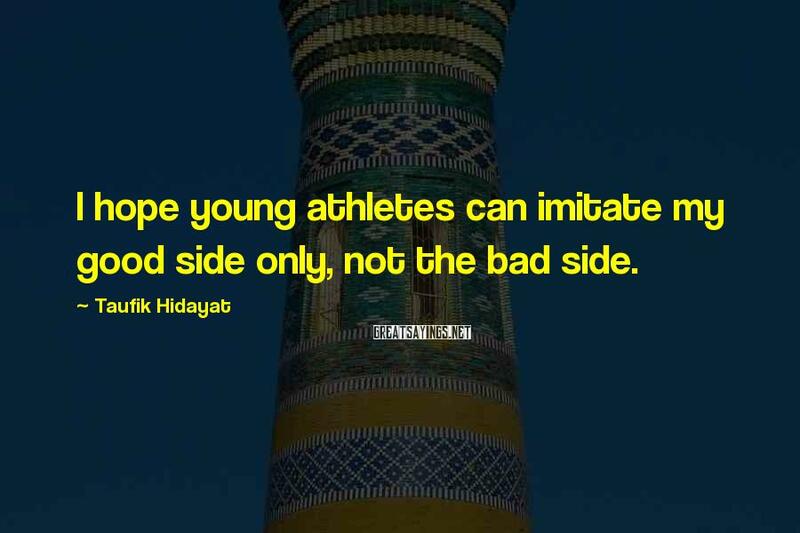 I hope young athletes can imitate my good side only, not the bad side.